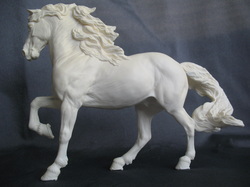 Brigitte Eberls arabian mare resin . 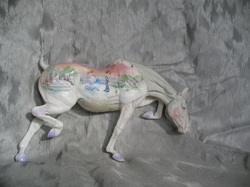 Animal Artistry Special Edition Striking Out Arabian Stallion resin by Donna Chaney. Huckleberry Bey to have foaled mare. Basic cm work by L.K.Magga. 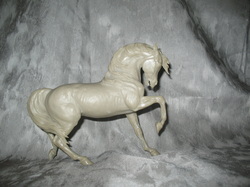 Will be finished and painted in chestnut sabino. 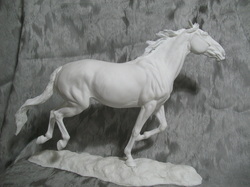 Brigitte Eberls traditional sized resin. 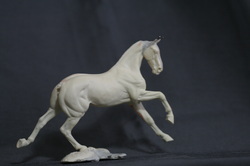 Will be gray orlov/lipizza mare. 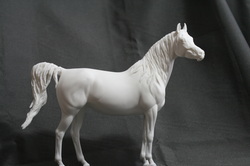 Maggie Bennett´s trad size arabian mare resin.